This post is inspired by Kirsten Krauth and a collective of WA writers who recently blogged on the topic: Which writer (living or dead) would you like to be for a day? It’s a tantalising prospect, one that sets my imagination off in all directions. On one hand, there’s the question whose head I’d like to be inside; on the other, whose life I’d like to live for a day. And in both cases, which day do I choose? Dawn Barker wants to be Mary Shelley on the night during ‘one wonderful summer that would change her life and propel her into literary history’, when she dreamt up Frankenstein while holidaying on Lake Geneva with husband Percy Shelley, John Polidori and Lord Byron. Similarly, Amanda Curtin choses to be Katharine Susannah Prichard for a day, not in any way wishing to experience the prolific early-20th century writer’s ‘unbearable personal sadness’, but to feel the ‘kind of fearlessness in my blood’ that she associates with Prichard’s remarkable life. It comes as no surprise for those of us who know her to see Kirsten Krauth bend the rules and insinuate herself into the life of songwriter Leonard Cohen on a day in 1966, 1994 and 2008 respectively. As for me, I’m torn between the mind I want to occupy and the life I want to experience. Hemingway’s is a tempting mind to want to be inside, although I’d want to be specific about doing so on a day sometime c. 1951 when he was living at Finca Vigía outside of Havana, his memory still intact, working on The Old Man and the Sea. 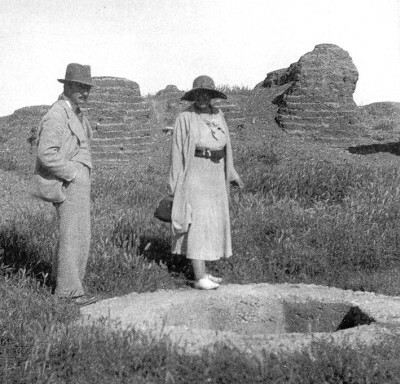 But I’m also tempted by the thought of being Agatha Christie, specifically on a day the world’s bestselling novelist spent on an archaeological dig in a now inaccessible part of the Middle East with her husband Max Mallowan. I’d love to have Agatha’s memories of travelling through the Balkans to Turkey, Syria and Iraq, crossing the great stretch of desert between Damascus and Baghdad, and visiting the archaeological digs at Ur where she first met Max. I’d love to have seen Venice, Dubrovnik and Delphi in the 1930s, as well as Teheran, Shiraz and Isfahan. I’d love to have her pragmatic attitude to writing, not to mention her prolific output. Most of all, I’d love to experience Agatha’s sangfroid, to be unruffled in the face of breakdowns, raging heat, sandstorms, rats. To be free of of such fears and constraints. What about you? Which writer would you like to be for a day and why? 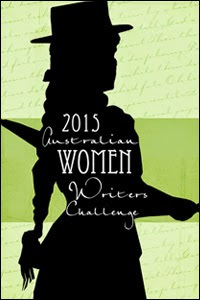 This entry was posted in Literary giants and tagged Agatha Christie, Amanda Curtin, Angela Savage, Annabel Smith, Dawn Barker, Emma Chapman, Kirsten Krauth, Natasha Lester, Sara Foster. Bookmark the permalink. I’m so pleased our posts inspired you to write your own, Angela. Agatha Christie sounds like one gutsy lady and I love the thought of that part of the world in that era – makes me think of The English Patient. Thanks for joining in! Have you read Madeleine Thien’s books? She is a Canadian writer who reminds me of Ondaatje at his best – beautiful prose, and great depth of feeling. No, I haven’t read Madeleine Thien but thanks for the heads up. Thanks for entering into the spirit of the idea Angela; I love that somebody else read our blogs and wanted to swap lives also. I also contemplated Agatha Christie as someone whose life I would like to inhabit, mainly because of how prolific she was and how enduring she is. I imagine it would be quite satisfying to look back on your life knowing you had produced so much that was loved by so many. It makes my own two novels seem rather paltry in comparison! While I fantasise about having Agatha’s travelling/writing life, Natasha, I’m also aware that this came at the cost of her family life. As I wrote here, Agatha thought nothing of leaving her infant daughter Rosalind for 10 months while she travelled overseas. It’s also worth remembering that in addition to writing in the era of nannies and boarding school, Dame Agatha didn’t have to promote her own books in the way authors are expected to now. All the more reason to want to be her for a day. I had no idea she did that. I’m not sure I could leave any of my kids for 10 months. I suppose she couldn’t exactly take a baby to somewhere like the Middle East though. There’s always a reverse image isn’t there – a life can seem so wonderful on the surface but sometimes that’s at great cost. Actually, Agatha left Rosalind, aged 2, to go on that 10-month tour, which took in South Africa, Australia, New Zealand, Canada and Hawaii — arguably quite safe places to take a child. In her autobiography, Agatha comments that on their return, Rosalind ‘treated them like strangers’ — which Agatha found quite reasonable on the child’s part. Go figure! Angela – What a creative kind of question! Thanks for your post on this. It’s a fascinating way to get to know writers, too. And I can’t disagree with you about Agatha Christie. A really interesting person and she had so many interesting experiences. In some ways of course very much the product of her times, but in some ways, so very much ahead of them. I love this! I couldn’t agree more, Margot, about Agatha being a product of her time. But when I thought about inhabiting the life of another author, hers was the one I couldn’t resist. Feel free to weigh in and choose your own ‘author for a day’. I can see you’ve really thought this through, Angela! 🙂 She really was fabulous, dear Agatha. Hi Angela, and thanks for joining in! LOved reading your post too. 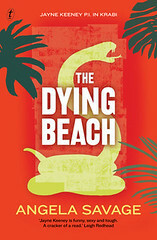 It’s made me want to go and re-read Agatha Christie! Thanks for dropping by, Dawn. I recommend Agatha Christie’s autobiography, as well as her travel memoir, Come, Tell Me How You Live, which she published as Agatha Christie Mallowan. 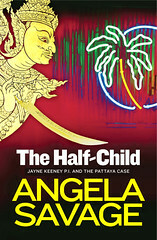 Hi Angela, really enjoyed reading your post – Agatha is a great choice! I loved her books and went through a big Christie phase when I was younger, but I don’t know much about the woman herself – you’ve made me want to find out more! Thanks for dropping by, Sara. I did some research into Dame Agatha’s life last year for a forum I chaired at Melbourne Museum to coincide with its Wonders of Ancient Mesopotamia exhibition. I think I enjoyed her autobiography even more than her novels! Or I’d like to be Fred Vargas for a day, to know what she knows about Medieval times, and to have her creative process going on in order to write such imaginative books — and also to be able to live in France! I’d also like to be any woman writer in Oz, so I could see the sights and get a feel for the flora and fauna and learn about the Indigenous peoples’ history. Good choices, Kathy – all of them. I also contemplated being Barbara Kingsolver for a day, but in the end opted for the chance to see parts of the world no longer accessible via Agatha Christie. Thank you, Angela. Would appreciate that. And, now, Jayne Keeney has taught me about how Thailand’s southwestern border was formed. I have to read more about this as it fascinates me and I realize I don’t know enough about the formation of land masses, countries, mountains, etc. So, you see, Jayne is not only an intrepid detective, but a geology teacher. I must find somewhere to read more without having to pick up a heavy tome. 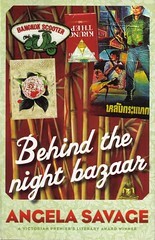 I’ve looked at photos of Krabi. It’s beautiful on that coast. Maybe we should think of being characters for a day, and I’d surely pick Jayne as one so I could see the beauties of Thailand. Not snorkeling, not my cup of tea.